The Reformed University Fellowship Internship is a program that places recent college graduates on a college campus where they will work under a ordained campus minister. On campus they will have the opportunity to learn under, and minister alongside, a seasoned campus minister. As an Intern I will be exposed to all areas of ministry; building into the lives of students, leading small groups, attending training where I will be personally developed by RUF staff, and planning ministry events, just to name a few. In addition to daily ministry responsibilities I will be required to complete a rigorous study program involving the study of scripture, the Westminster Confession of Faith, and books by authors such as Jerry Bridges, Paul David Tripp, and Tim Keller. This program will help me develop a deeper understanding of theology and people with the goal of teaching me how to intersect the two in wisdom and faith. 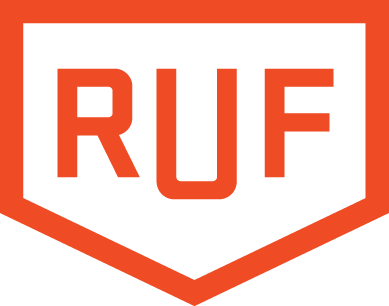 As an RUF Intern my primary goal will be to reach college freshman and other students looking for a community to be a part of and connect them to students involved in RUF. Second to reaching out to freshman I will also be leading Bible studies, planning events, meeting students for one on one talks and discussions where I can better minister to their individual needs, and assisting the campus minister in anyway he needs me. An Average day may look like, waking up and meeting a few students back to back for coffee or other one on one activities. After a few one on ones I may have time to spend reading my Bible and some time reading one of my reading program books. Next I may meet a few students for lunch. After lunch I will do some preparations for the bible study I lead. I could also walk around campus and initiate conversation with a few students with the goal of building relationships that can lead to invitations to RUF and discussion about the Gospel. On Large group days this may lead into preparation for the Large Group meeting, other days I may then lead a bible study or catch some student for dinner or hanging out. During the day there could be any other number of tasks and responsibilities such as meeting with my campus minister to talk about the work I’ve been doing, students, my bible study, or the study program. Below is a video that explains a little bit more about what the internship is like, coming from other interns across the country. What is the Life of an RUF intern?